One of my favourite drinks, as a cinnamon fan, is a chai tea or a chai latte. I love warming spices so as winter and Christmas approaches I’m always happy to see these flavours gaining in popularity. 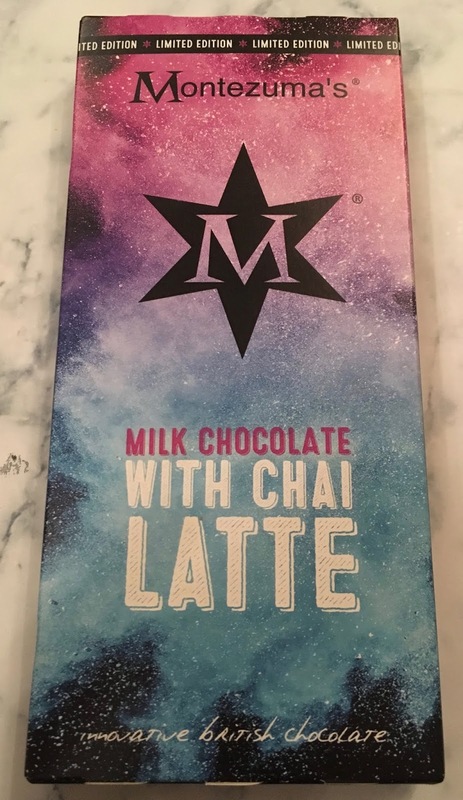 I spotted on Ocado that Montezuma’s new bar is Milk Chocolate with Chai Latte and I popped one in my basket. I haven’t eaten a lot of Montezuma chocolate so I was looking forward to revisiting the brand.The bar looks very smart and has a star design on the front. The chocolate is quite thick, but soft and broke easily. I gave a block of the Montezuma’s Milk Chocolate with Chai Latte a try and immediately picked up on the quality of the base chocolate, it had a thick melt and lovely sweet creamy tones. It was well balanced and the cocoa was of an excellent quality. The spices though were a different matter. Firstly I couldn’t pick up on any cinnamon which from a personal taste was a shame, I would always go heavy on this spice. There was a lot of clove and nutmeg that did work but there was a bitter aftertaste possibly from the coriander which didn’t work with the rest of the warm flavours. What really didn’t work for me though was the texture, the spices were finely milled but I could still pick up on them like hard micro granules mixed into my chocolate, which meant it wasn’t quite smooth. Something either the texture or the spice caught in the back of my throat and almost made me cough a couple of times when I was eating this. 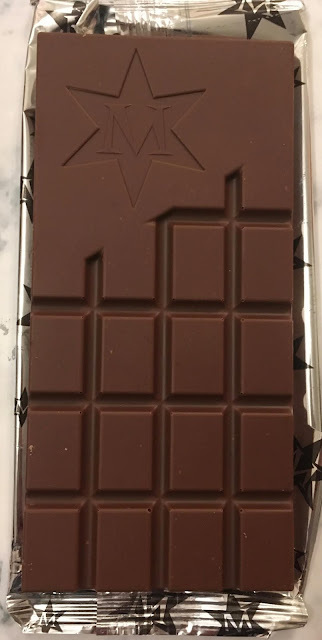 It was so near to being good, the base chocolate had a lot of potential, but this bar wasn’t for me.